What’s included in the Colors and Shapes Mega Pack? 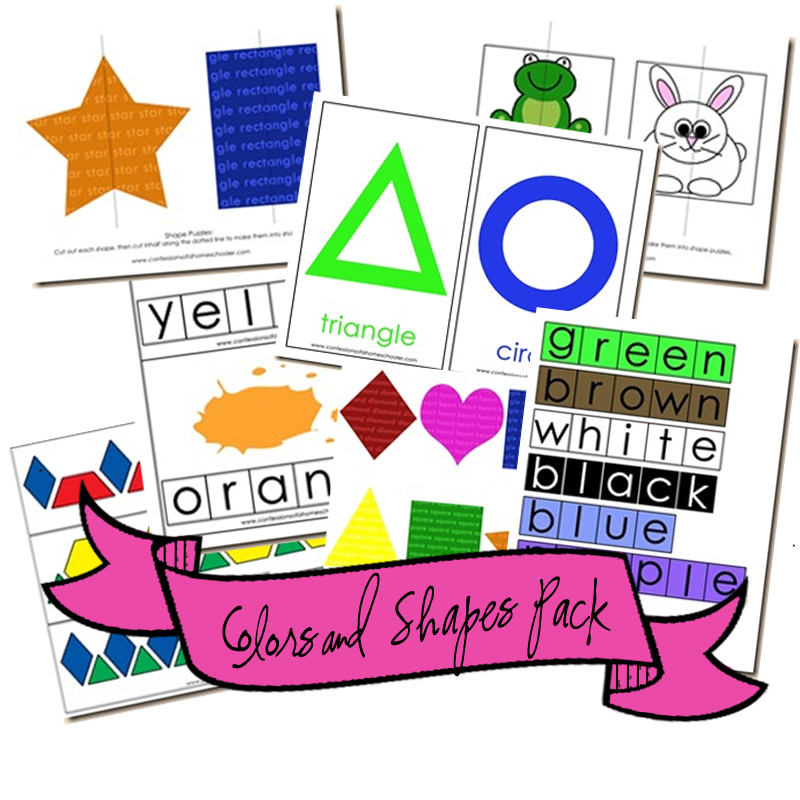 This fun learning pack includes 16 colorful files to help your preschooler and kindergartener learn their shapes and colors in a fun and hands-on way! I suggest laminating activities for repeated use! Shape Play-doh Mats: Laminate these shape cards and use them as shape templates for your play-doh learning time! Variation: Lay the cards out and have your child find objects that are the same shape and place them on the correct shape card. 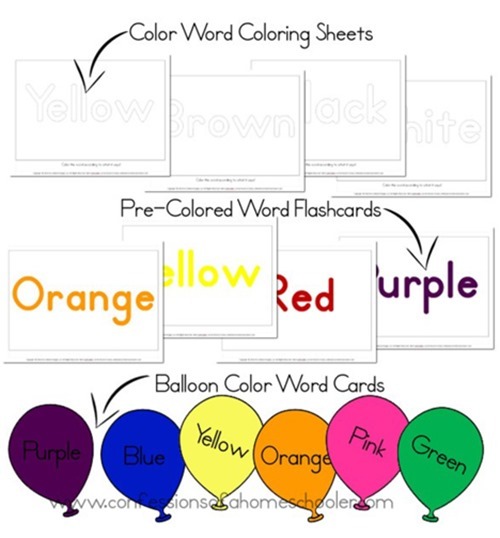 Color Word Coloring pages, flashcards, and balloon wall cards! These are great for learning colors, practicing fine motor skills with coloring, and decorating your school room! Patter Block Patterns! 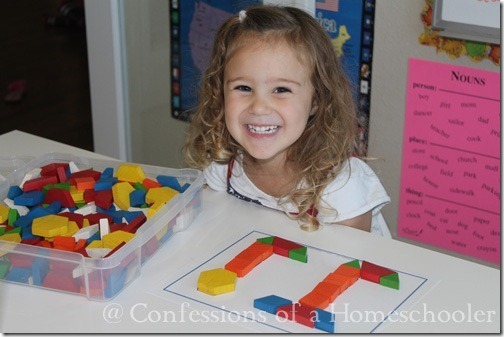 Pattern blocks are a great way to learn shapes and work on logical thinking and math skills at the same time! This download comes with several patterns to play with. You can purchase these Wooden Pattern Blocks to go with the activities. 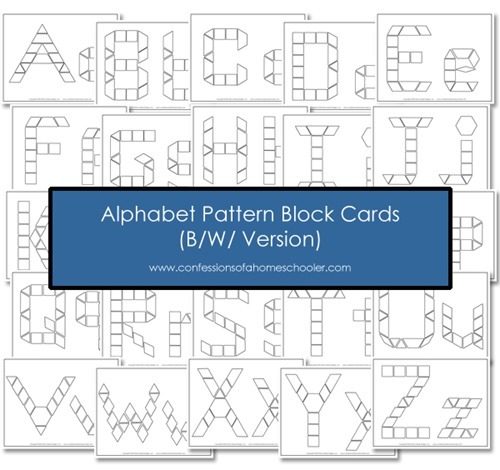 Alphabet Pattern Block Cards are a great way to practice shapes, colors, fine motor skills and letters all at the same time! Shape Tracers: You can use this a few different ways! 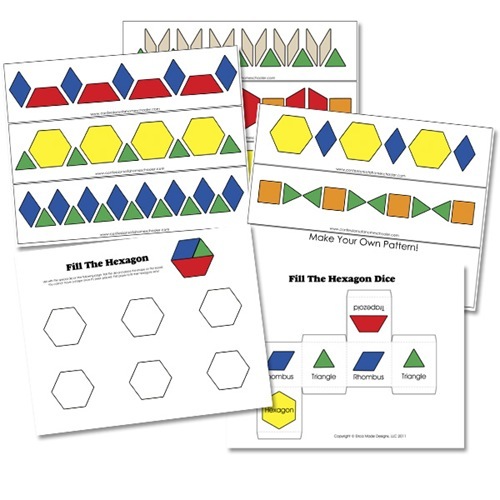 This download includes 10 shape tracing cards. 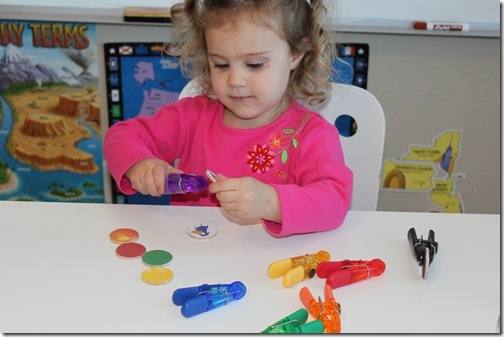 Shape Silhouette Match Up: Cut out the colored shapes, and match them to their corresponding shape on the outline game board. Color words: This download comes with the letters in the boxes like below, then your child can match up the letter tiles to each card. For more of a challenge I also added blank cards for each color word as well. 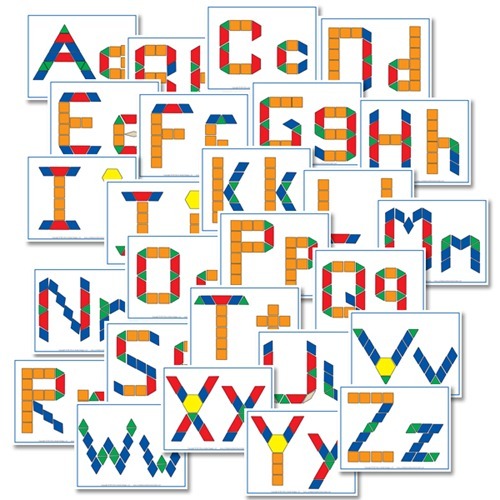 Both are included in the download along with colorful letter tiles, but you could use any letter manipulatives you want to spell the words. Includes 8 color words. The word tiles come color coded to help younger children, for more of a challenge I also have black and white cards. You can leave the color words whole and have your student match them up. Later when they are more advanced you can cut the letters apart and have them match the words using individual letter tiles. Color Puzzles: Simply cut out each square, then cut in half along the dotted lines to make into a color matching puzzle. Color Mixing Cards: Using these cards, we made up some colored water and then used smaller scoops to mix based on each card. You can also use eye-droppers and put in one drop for the number of cups shown for each color as well. My First Color Book: If you didn’t already make this fun little book, here it is again! After printing, simply fold the 4 sheets of cardstock with color words on them in half and staple them down the center. I attached a colored piece of ribbon to each page according to its color. Then let my daughter cut out the images and glue them on each page based on its color word. (We did a couple pages per day depending on her attention level.) Afterwards we read through the book together! Shades of Color (to be used with paint chips): This is a simple file folder game I made to work on matching different shades of colors. Visit your local hardware store and grab some gradient paint chips for each color on the color chart. Cut out the colors and have your student match them below each base color at the top of the chart. I used a 1 1/4″ square punch to punch the colors out, but you can use scissors or a fun shaped punch as well! This looks really good and something I may be interested in. How much is this product and where do I order it?